Definition at line 41 of file llcamera.h. Definition at line 43 of file llcamera.h. Referenced by LLCamera::LLCamera(), and LLWorld::LLWorld(). Definition at line 40 of file llcamera.h. 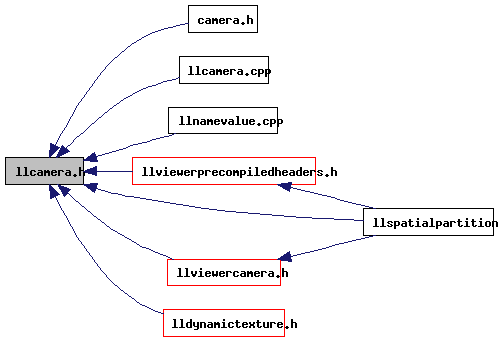 Referenced by LLViewZoomDefault::handleEvent(), LLAgent::init(), and LLViewerCamera::LLViewerCamera(). Definition at line 42 of file llcamera.h. Definition at line 46 of file llcamera.h. Referenced by LLCamera::LLCamera(), and LLCamera::setAspect(). Definition at line 49 of file llcamera.h. Definition at line 48 of file llcamera.h. Referenced by LLCamera::LLCamera(), LLCamera::setFar(), and LLViewerWindow::setup3DRender(). Definition at line 45 of file llcamera.h. 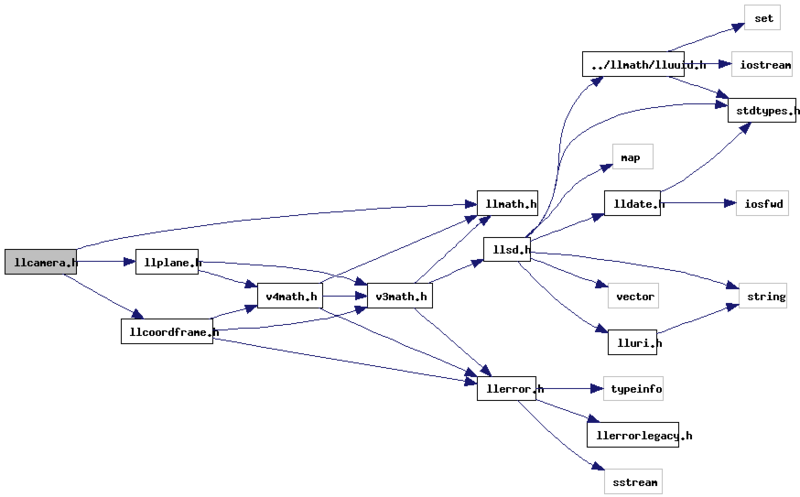 Referenced by LLCamera::LLCamera(), LLCamera::setView(), and update_fov(). Definition at line 47 of file llcamera.h. Referenced by LLCamera::LLCamera(), and LLCamera::setNear(). Definition at line 52 of file llcamera.h. Definition at line 54 of file llcamera.h. Referenced by LLCamera::LLCamera(), and LLCamera::setFar(). Definition at line 51 of file llcamera.h. Definition at line 53 of file llcamera.h. Referenced by display(), LLCamera::LLCamera(), LLCamera::setNear(), and LLCamera::sphereInFrustumOld().